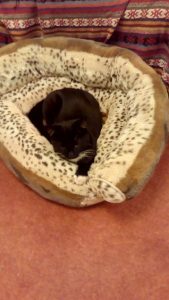 Missing Jan 2017, St George, BS5 – Black cat – deaf in one ear. Do you know if this cat is male or female? Our female cat is missing. She has a chip. This cat might be her! Hi, looks like my cat, she ent missing a while ago, has this cat been taken for a chip check?